Easy Highway Access, Minutes From The Strip & Raiders Stadium! Priced To Sell! MLS#2089132. Signature Real Estate Group. Town Center - Estimate is available by a licensed contractor. MLS#2089484. Century 21 Gavish Real Estate. 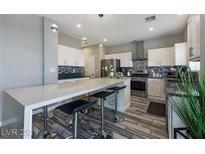 Metropolitans Alta Meadows - Perfectly located less than a mile away from Albertsons Grocery, shopping center, banking, restaurants and the 95 fwy. Truly a wonderful traditional home! MLS#2089476. RE/MAX Excellence. Eldora Estates - Fine tune your putting skills on your professional putting green, then relax in your heated spa. Retire to your master retreat MLS#2089230. PARKER REALTY, LLC. Stone Canyon - Additional features include private courtyard, office space, terrace, motorized shades, 6 zone Nuvo audio system and much more! MLS#2088958. Luxury Estates International. Covered patios, pool w/fountain, RV parking, nearly 2,000sf second building with kitchen and bedrooms. MLS#2089221. eXp Realty. Peccole West Queensridge - The backyard is lush and green with large mature trees, a backyard you can enjoy. MLS#2089463. Realty ONE Group, Inc. Bedroom & bath downstairs. Huge Master Suite MLS#2089423. Gibraltar Real Estate Group. Peccole West Queensridge - A former residence of an Interior Designer, this home is optioned & upgraded beyond most of the other homes in the neighborhood. MLS#2089277. Pegasus Properties. 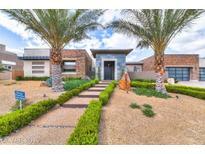 Located In The Newest Master Plan Community Of Skye Canyon With Amenities. MLS#2089387. RE/MAX CENTRAL. Spring Oaks - Full back yard includes grassy area, and waterfall swimming pool. Dog run and storage outside. MLS#2089343. Xpand Realty & Property Manage. All furnishings and decor are included! ! MLS#2089281. Wardley Real Estate. Located in Skye Canyon with great amenities to enjoy year round! MLS#2089322. Wardley Real Estate. 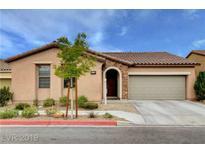 Crystal Bay South - This Las Vegas two-story offers a fireplace, kitchen granite countertops, master bathroom granite vanity, and a three-car garage. MLS#2086910. Opendoor Brokerage LLC. Erie Torrey Pines - Nice 5 bedrooms house at a good location. MLS#2089480. Nevada Real Estate Corp.
Fabulous 2 story home just outside of Providence*Over 3500 sq ft of living space that offers dual master floor plan—one up and one down*Wonderful kitchen with lots of cabinets and beautiful counters*amazing baths*huge bedrooms*2 car garage*low HOA fees*truly a great value and great home too! MLS#2088999. BHHS Nevada Properties. Montagne Marron At Southern Highlands - Close To Shopping,Schools,Freeway Access And Entertainment.Open Floor Plan With Formal Entry Living Room,Gourmet Kitchen W/Stainless Appliances,Granite Counters.Bed/Bath Down Stairs,Oversized Loft Up And Master Bedroom Seperate From Others.Private Yard With Pool And Spa Perfect For Entertaining On Those Warm Vegas Days! !call Us Today! MLS#2088874. LIFE Realty. Cortona Hills At Southern Highlands - 4 Bed*3 Bath*3 Car Garage*highly Upgraded*custom Gated Courtyard Entry*tiled Medallion*high Ceilings*formal Living/Dining*custom Lighting & Window Treatments*sep Family Room*gas Fireplace*bay Windows*granite Kitchen*built-in Oven & Micro*recessed Lighting*large Master/Bath*custom Tile*sep Tub/Shower*vanity*dual Sinks*walk-in Closet*3rd Bed W/Own Bath*park Like Backyard & Covered Patio*great Pulte Home! MLS#2088429. Real Estate Innovations. Royal Highlands At Southern Highlands - Fresh 2-Tone Paint, New Carpet, Patio & more! MLS#2084492. Realty Executives Southern.